Did you ever hear of the lovely legend of the three trees that grew near the manger — the olive tree, the palm tree, and the fir? The olive tree made an offering of its fruit, and the palm tree of its dates. The poor fir tree, having nothing to give but worship, raised its boughs in adoration and the angels hung stars on its branches. The legend portrays the fir tree as a loving witness unto the new born Savior and Lord. The world looks at Christians. Do we produce “good fruit”? Is our witness consistent and loving? Do we allow the teachings of Jesus to produce a loving witness to the Savior we say we worship? 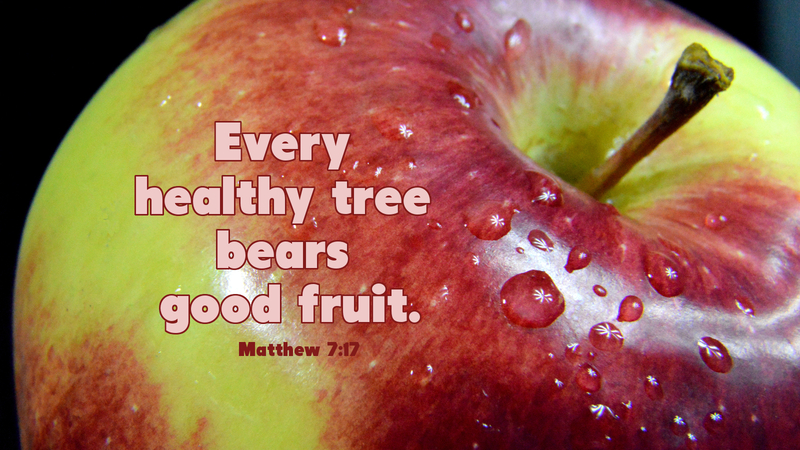 Prayer: Lord, help us to bear “good fruit” to your glory. Amen. Today’s devotion was written by Thomas W. Corbell, retired NALC Pastor. Legacy is a key word in our vocabulary today. What kind of legacy will we leave behind. As Christians our legacy will be determined by our fruit. What we did or didn’t do in our service to our Lord and savior. Negatives can be turned to a positive. How many lives will we touch?